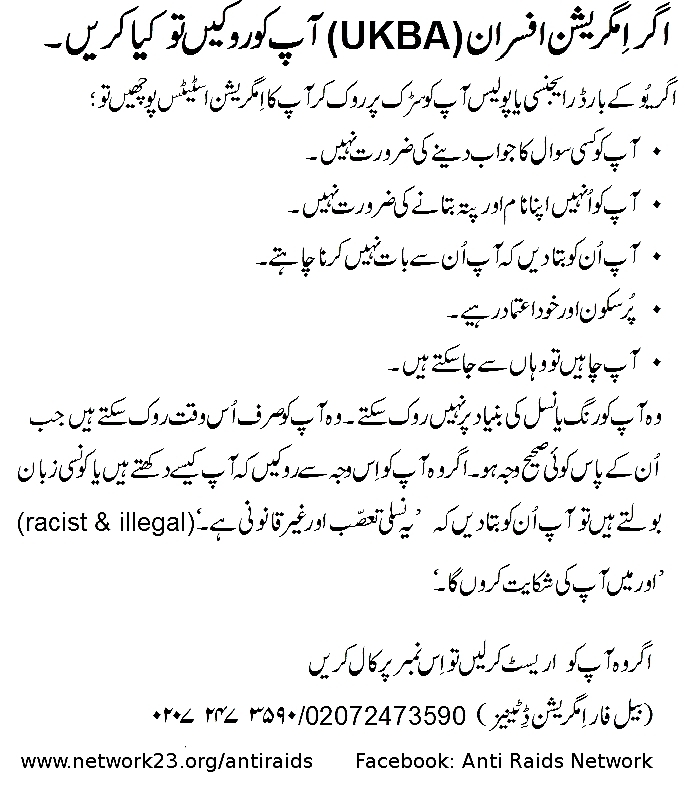 Urdu ‘know your rights’ card – now available! Finally, after much proof-reading and editing, we have a ‘know your rights’ card available in Urdu. Many thanks to those who helped with this. The card can be downloaded as a pdf for printing 2 per page (print as landscape), or 4 per page (print as portrait). NOTE: print quality is clearer than pdf viewing quality.